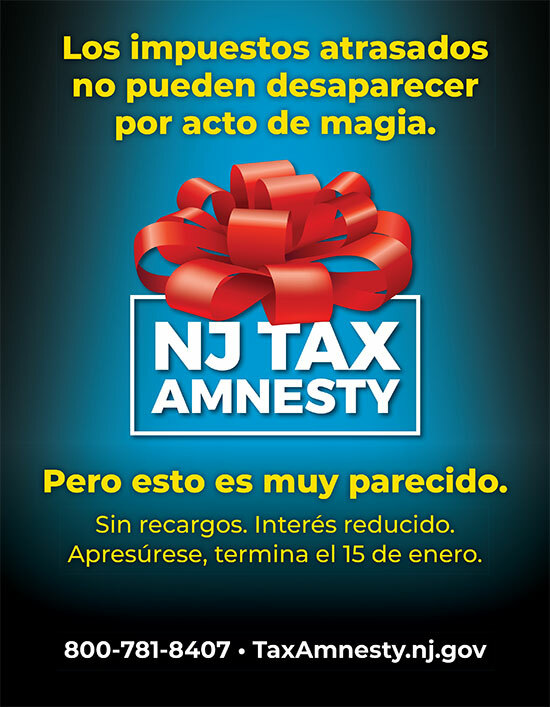 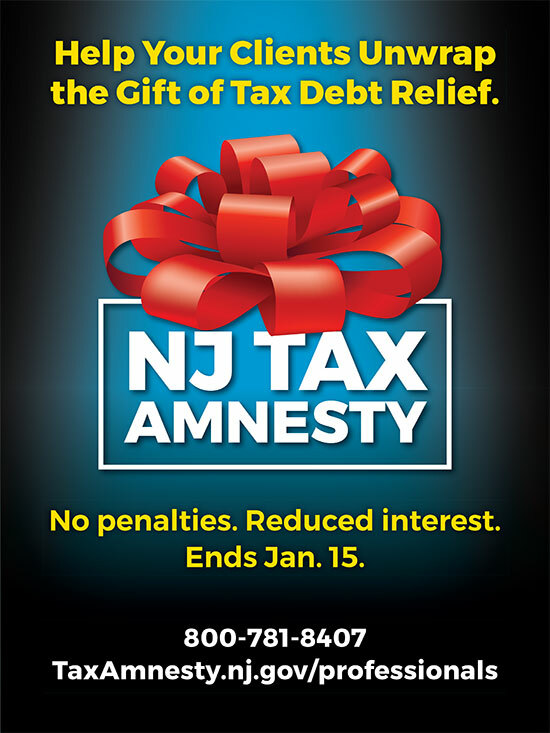 New Jersey Tax Amnesty - Marketsmith, Inc. 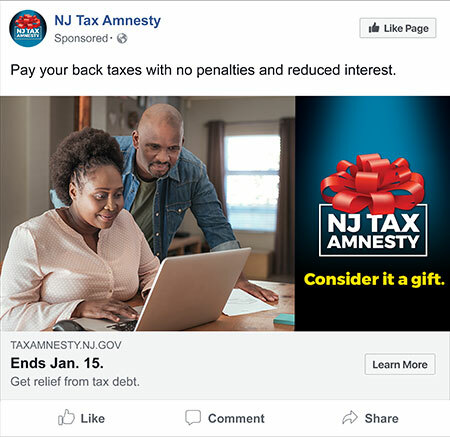 The chance to pay back taxes without penalties only happens every ten years or so, so when it does, it has to drive big results. 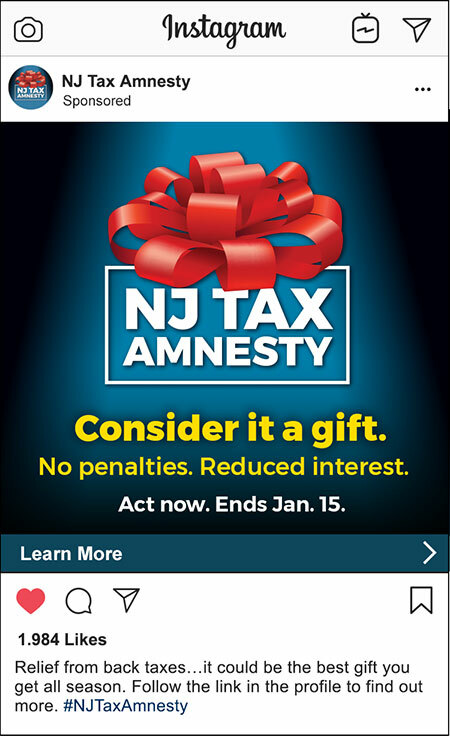 And this decade posed an additional challenge—get this message out during the very crowded holiday season when people want to think about spending their money on presents, not taxes. 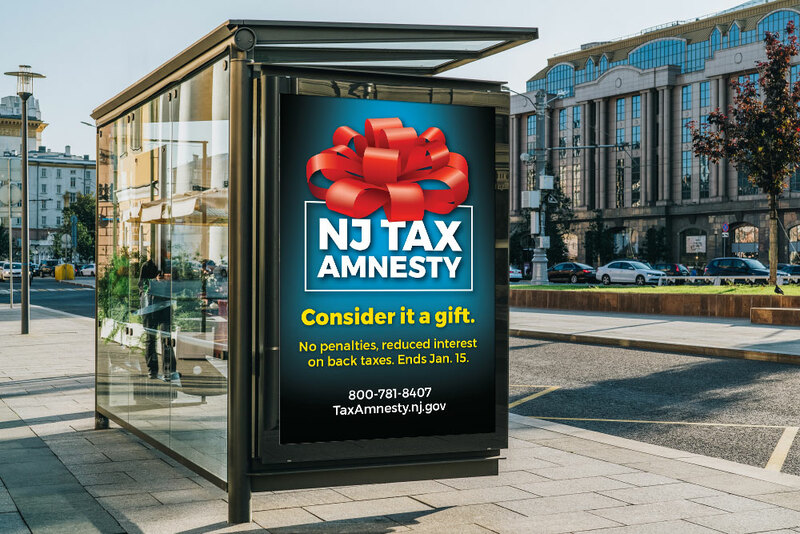 We made our message one that fit right into the season, and our omnichannel media plan made that message unmissable wherever your turned in the Garden State. 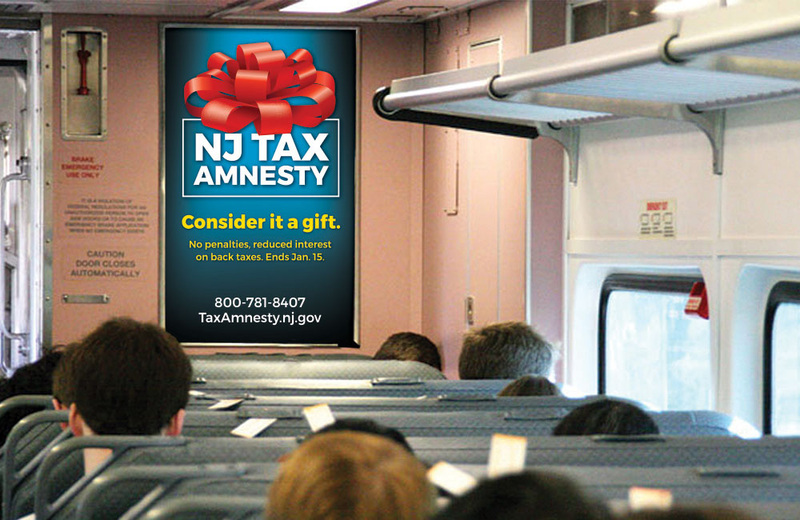 The result: a big gift to the state coffers as revenue surpassed expectations.